When actress Natalie Portman heard the mounting allegations of sexual assault and misconduct in Hollywood, she said she considered herself lucky that she has never been personally assaulted. Then she recalled “100 stories” of being sexually harassed and discriminated against during her own rise as an Academy Award-winning star, which are just as inexcusable but have been long ignored, shetold entertainment website Vulture. Sharing one disturbing example, she recalled being invited to ride on a producer’s private plane to a location. She was told members of his company would already be on board, but when she arrived, it was just the two of them, along with a single bed. Read more of Vulture’s interview here. In other past instances involving male co-workers, she said her opinions were ignored or her input was deemed “exhausting.” Men with similar opinions or views were accepted, however. 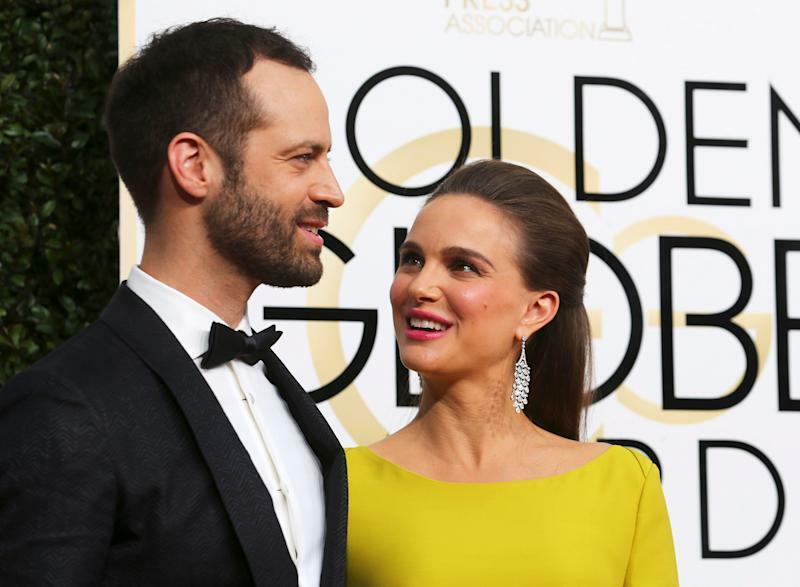 The "Black Swan" actress is seen with her husband French dancer and choreographer Benjamin Millepied in January. CBS co-hostCharlie Roseis the latest high-profile man to face allegations of sexual harassment and abuse by women in recent weeks,leading to his firing on Tuesday. Others include Sen.Al Franken(D-Minn.), comedianLouis C.K., actorKevin Spacey,filmmakerBrett Ratner,Alabama GOP Senate nomineeRoy Moore, reporterGlenn Thrush, music mogulRussell Simmons,and movie producerHarvey Weinstein.